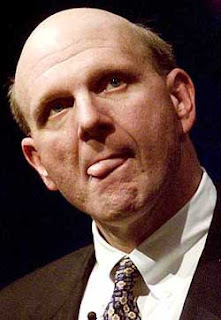 It was ten years ago yesterday that Steve Ballmer succeeded Bill Gates as the CEO of Microsoft. Mash down here for the story at Slashdot. In honor of the occasion, software developers around the world will be throwing chairs across the rooms of their workplaces.